No one puts Jaswant in the corner. For the third time in ten years, Jaswant Singh finds himself in the proverbial eye of the storm. This time he’s created a furor with a new book, Jinnah: India – Partition Independence that discusses the legacy of Mohammed Ali Jinnah. Singh, a former foreign minister of India and a prolific writer, challenges the widely-held Indian belief that it was Jinnah’s insistence on a separate Muslim homeland that forced a violent breakup of British India over sixty years ago. Instead, he argues that it was Jawaharlal Nehru’s centralized polity that was responsible. A founding member of India’s right-wing Bharatiya Janata Party (BJP), Singh’s stance seems ironic considering that the BJP have for decades painted Jinnah as India’s greatest villain. Both India’s political spectrum and its mainstream population have always blamed Jinnah for Partition – that violent, bloody vivisection through which Pakistanis felt they gained a country, and Indians struggled to accept that they lost a third of theirs. Reactions from the BJP have verged on intolerance of intellectual inquiry. Singh was expelled from the party’s ranks and the BJP-ruled government in the state of Gujarat banned his book for allegedly ‘defamatory references’ to Vallabhbhai Patel, India’s first Home Minister and a Gujarati political icon. Even the Congress Party has censored him for his views, for once united in opinion with their political rivals. Ironically, Singh’s ideological tussle with the BJP is somewhat similar to Jinnah’s own battle with the Congress Party of yore. Both were active proponents of party ideology, and both disengaged after intellectual disagreements. The only difference is that while Singh has shifted ground from supporting a nationalist right-wing party to intellectual liberalism, Jinnah moved from pursuing secular, liberal policies to rallying the masses with hard, communal appeals. In Pakistan, where Singh said he expected harsh criticism, reactions seem to be mixed. Among Pakistanis, the book’s controversial claims on Jinnah’s political leanings are nothing new. This is a debate that has been raging for many years in Pakistan, as governments over the years have consistently made selective use of Jinnah’s ideals to suit their political needs. But Pakistanis are using the opportunity to confirm their negative views of India’s Hindutva parties. Jaswant Singh also seems to have caused India’s leading political parties much grief. His comparisons of Jinnah’s policies with those of Jawaharlal Nehru, India’s charismatic first Prime Minister, have suddenly placed the Congress and the BJP on the same ideological plane. The BJP is furious that one of their own could have the audacity to acquit Jinnah of treason, while the Congress is livid that the author has denigrated Nehru, that doyen of the Congress Party. And so Indians find themselves in the unusual position of seeing the two arch-rivals of Indian politics standing united in their criticism of Jaswant Singh. But the real trouble is that the book upsets the clearly established communal bifurcations which the establishments of India and Pakistan have worked so hard to make de rigeur over the last several decades. But how has all this state-sponsored brainwashing worked? In Islamic Pakistan, Muslims are busy plotting against and killing their religious compatriots. And in Hindu-majority India, the secularism record is not much better at all. While the Indian elite stand alone in a self-congratulatory mode, more than three-fourths of the country remains marginalized. Just a few days ago, a government-sponsored study estimated that 40% of India is still living in extreme poverty. In this context, any fresh look at history that challenges old prejudices should be welcomed. Especially in the case of Jinnah, whose elevation to saintly status in Pakistan has made it impossible to evaluate his political and social persona in that country. One hopes that Jaswant Singh’s academic effort will succeed in forcing both India and Pakistan to rationalize their equally distorted views of Jinnah – a man whose true character and disposition has become hazy after years of hagiography and demonization. Now that Singh has told it like it is to the Indians, perhaps Pakistanis too will find it easier to explore a truer, more realistic Jinnah for their national reference and identity. This will be important because it has repercussions not just for regional peace, but also for the most fundamental questions about Pakistan’s own identity. Identity in today’s Pakistan is shaped largely by the negation of a Hindu-Indian identity and the convenient classification of India as the enemy. Singh’s book will hopefully remind Pakistanis that Jinnah was no enemy of India. Jaswant Singh’s book is a long overdue academic exercise, and a timely one at that. And any serious political party that hopes to run the government should allow for that. But in expelling Jaswant Singh for his views, the BJP is expelling both freedom and thought, confirming that its entire ideology thrives on resentment. 28 and Commander of the Taliban. Eat your heart out, Federer. So it’s official. On Tuesday, Hakimullah Mehsud and Waliur Rehman, two top Taliban commanders, finally confirmed the death of Baitullah Mehsud, thus laying the seemingly endless he said-(s)he said statements to rest. 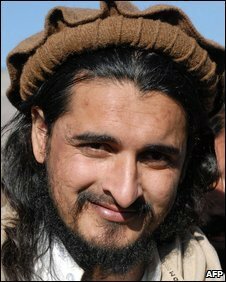 The Wall Street Journal cited “reporters who said they recognized the leaders’ voices,” noting Mehsud died of injuries inflicted from an earlier U.S. drone strike this past Sunday. So what about Hakimullah’s past phone call to news agencies, claiming Baitullah was alive? Oh, that. According to him, he wasn’t technically lying. Baitullah Mehsud wasn’t dead after the purported U.S. drone strike – he was just in a coma. Hakimullah was quoted by media outlets saying, “He was wounded. He got the wounds in a drone strike and he was martyred two days ago.” Waliur Rehman conveniently echoed the same statement. His real name is Zulfiqar Mehsud. Hakimullah is his nom de guerre. Kind of like a stage name. Like Cher. According to the BBC’s Syed Shoaib Hasan, he was born in the Kotkai region, near the town of Jandola in South Waziristan. His only schooling was at a small village madrassa in Hangu district, reportedly the same school Baitullah Mehsud dropped out from. At 28 years old, he was known as Baitullah’s most “ferocious” deputy, handling both a Kalashnikov and a Toyota pick-up with legendary skill. The BBC’s correspondent once took a drive with him and noted, “To demonstrate his skill with the vehicle, he drove like a man possessed, manoeuvring around razor sharp bends at impossible speeds. He finished the demonstration by braking inches short of a several hundred foot drop.” So if this new career doesn’t pan out, I hear Fast & the Furious IV [3-D] may need stunt drivers. His first press conference was held in November 2008 in Orakzai Agency, [he became Baitullah’s chief spokesman in October 2007]. A GEO TV reporter described meeting him, “Hakimullah is a lively man. He told us he could give us two gifts. One was the Humvee military vehicle that his fighters had captured during a recent raid in Khyber Agency on an Afghanistan-bound supply convoy for Nato forces. The other was a jeep that his men had snatched from UN employees in Khyber Agency.” Charming. He was the militant commander for three tribal agencies – Khyber, Kurram, and Orakzai. He reportedly masterminded the campaign against NATO convoys in Khyber and Peshawar, and claimed responsibility for the June 9 bombing of the Peshawar Pearl-Continental Hotel. Hakimullah may have come to power on the coattails of a Taliban power struggle, exposing rifts that should be further exploited by the Pakistani military, but he is not new to the Taliban structure, and he is certainly not unfamiliar with Baitullah’s agenda. Although his ability to command the TTP could be moot if the organization has been permanently damaged, we should not take this appointment lightly. On the onset of Ramadan, demand for basic food commodities rise as people prepare for the month of fasting. For at least a decade or more, this is matched by a substantial price increase as supplies are not sufficient to meet demand. And subsequently, a crisis occurs when there is a massive shortfall in supply. The recent sugar crisis in Pakistan materialized because of this shortage in supply. There are two kinds of supply shortages—Natural or Artificial. Natural shortage include i) unfavorable weather conditions that reduce supplies, ii) adverse market structure that leads to decrease in production over a period of time and iii) change in government policies that negatively impact production. Meanwhile, artificial shortfall means to deliberately withhold supplies to create a shortage for profit. And lastly, mismanagement of supplies by key players in the market can also create shortages. So what happened in Pakistan’s sugar market/industry in 2008-09 that resulted in a shortfall? Is it natural or artificial? The current year saw a natural decrease in sugar production. In general, farmers, like others, only produce crops that give them maximum profit. In 2008-09, the current government increased the wheat price to Rs 950 (minimum price) to encourage farmers to grow wheat. This was an attractive incentive and resulted in attracting non growers to grow wheat (as it is profitable). As a result, sugarcane farmers switched to wheat production which resulted in a drop in sugarcane production. Moreover, over the past decade, sugar cane production has declined because of the naturally difficult/negative constitution of the sugar market. Numerous specialists state that farmers have decreased the total area under production due to water shortage, behavior of the mill’s management, late payments, increased input cost, and diseases and rodent attack. They especially blame mill owners for late and/or no payments to farmers and limited irrigation water that make the farmers reluctant to grow the crop. Hence, these two factors have naturally reduced the supply of sugar by 15 to 20 percent compared to last year. Moreover, in the International Market, Brazil and India are the biggest sugar producers in the world. In 2008-09, these two producers faced adverse weather conditions that resulted in a natural reduction in the global supply. Hence, the global price of sugar sky rocketed as well. Prior to Ramadan, like any other year, wholesalers and mill owners have been accused of hoarding sugar. By limiting supplies, they artificially created a shortage. The main reason is profit. Mill owners buy sugar cane before December because crushing season lasts four months (December to March). Approx 38 to 40 lakh tons of sugar cane is crushed (this is the whole annual supply). The processed sugar is then kept in warehouse or sold to wholesalers. Hence, these mill owners and wholesales are key suppliers and have a monopoly over supply and thus control prices. As they are aware of higher demand before Ramadan, they deliberately withhold supply to manipulate higher prices and profits and hence artificially reduce the supply of sugar in Pakistan. Government mismanagement and sugar industry profiteering are the real reason for the current crisis. Ahsan Iqbal, member of the PML-N, correctly point outs that after the wheat incentive, good governance called for monitoring the possible supply shortages of other commodities. Although the government did watch crop production and was aware of the potential sugar shortage, it failed to act timely. Various reports in December indicate that the total production was 3.2 million tons while demand was between 3.4 to 4.0 million tons. The government solution was to import duty free raw sugar of 300,000 tons so that the mills could process it. However, at that time, the government feared that if they imported duty free raw sugar, then mill owners would not buy from the local market (According to Geo TV’s Capital Talk on 18th August 2009. Nevertheless, delaying the time of purchase did not bode well for Pakistan as international price of sugar shot up (scarcity in the global market) and now sugar is nearly twice as expensive to import. Moving on, the government is aware that sugar consumption increases around Ramadan. It should be responsible for managing the shortage in an effective manner. Unlike wheat and other crops, sugar can be easily stored for a long period of time. Hence, the government should maintain a buffer stock to avert crisis. Moreover, mill owners and wholesalers manipulate market prices to obtain profit, especially around Ramadan. This needs to be stopped. The natural shortages in sugar supply turn into crises because of hoarding. Although this year the government placed tremendous pressure on mill owners and wholesalers to release the artificially hoarded sugar, no real legal action was taken against them. Furthermore, Dawn newspaper states that these mill owners/wholesales usually have strong political ties with the government (especially the PML –N) or are in the government and are able to avoid any legal action. This needs to be addressed and the government must take severe action against such policies. Natural reasons can create a supply shortage in any crop. However, for it not to turn into a crisis, it is the responsibility of the government and the industry to avoid mismanagement and illegal profiteering. Happy Ramadan everyone! The Muslim month of fasting begins this weekend (Saturday in much of the Arab world, Sunday in Pakistan), and marks a time for reflection, self-discipline, and patience. On a lighter note, below is the link to a classic clip from Family Guy, poking fun at Osama bin Laden’s message to the West prior to Ramadan, and what really goes on behind that camera. Enjoy and Ramazan Mubarak! Q: You came on this season as an Associate Video Producer, as well as a the Behind The Scenes [BTS] Producer. Given your background in film, were you prepared coming into the show? What were you unprepared for? After watching the first season of Coke Studio last year, I was pretty blown away by the whole package: fantastic music that engages with both classical and contemporary Pakistani ideologies, bold visuals, great packaging and a pure, constructive intention. I knew I had to get on board for the second season, and got in touch with Umber and Rohail [Hyatt] (henceforth known as ‘Ma’ and ‘Pa’). It was a tough selection process for them to choose a video team for this year, and I definitely pseudo-stalked them to get the job! I knew that I was the perfect fit. I was summoning it from the universe, asking for it in prayers and felt very blessed when they selected me to be the Associate Video Producer and the Producer Behind the Scenes. I have quite a few years as a documentary producer under my belt, having worked on projects like Sundance winning Why We Fight and being the local producer on Jihad for Love as well as directing the award winning Bijli, and the first feature length anthology on Pakistani cinema, The Forgotten Song. I have also been an assistant director on many music videos, produced shows for MTV and worked as a packaging director on the Lux Style Awards. So I would say that I was pretty prepared to jump on board the ‘Coke Studio’ project. I knew it would be very intensive, and I really enjoyed handling the camera for all the behind the scenes, and collaborating with Zeeshan Parwez on the videos. What I was not prepared for was the spiritual satisfaction I got from working on this project with Ma, Pa and the rest of the CS team. It was by far the most pure intentioned, good willed, honest project I have worked on in Pakistan. Rohail is fantastically tech savvy, a great problem solver, intimately in touch with his music, a communicator and above all very organically connected to the project. It was a passion project for all involved and it started at the top with Ma and Pa, and filtered through to the house band members, the people who worked on the set, the tech support, and even the security guard, all of whom contributed their energy to making this project the phenomenon it has become today. Q: What was the interaction between musicians like behind the scenes, particularly between the older, more established artists and the younger, more up-and-coming musicians? Having worked with a lot of these musicians and artists before in various capacities, I was well aware of the possibility of conflicting egos. But I think all of us were so committed to the project and believed in it so deeply at a visceral level that every time a new artist came on set, their energy merged with ours and not the other way around. Coke Studio definitely had an aura about it that was welcoming, trusting and open to ideas and I think that made it a very comfortable space for new energies to mingle and become something higher than ‘ego’. We had an amazingly talented houseband with some of the best musicians in the country, and they set up a fantastic framework for the artists to come in and further develop the songs. There was never any conflict, just growth, and that kind of energy has become increasingly rare to find in Pakistan. Q: What was your aesthetic vision when shooting the BTS videos? What did you most want to portray? I shot the behind the scenes almost everyday for two months and really got to develop the aesthetic for how we were going to shoot the final videos. Naturally, Rohail had shown us examples of what he wanted, and Zeeshan contributed heavily with his own unique visual style to the final videos as well. The final look of the videos was the result of a collaborative vision shared by the three of us. All of the visuals were well thought out and discussed and we even trained all of our camera men! Zeeshan and I were behind microphones in the CCU room during the final shoot, instructing our respective camera men on what to shoot; however, without those two weeks of training, we wouldn’t have achieved the aesthetic that we finally managed to achieve. As for the Behind the Scenes (BTS’s), the best part of shooting verite on an evolving show is that you can capture the really spontaneous moments, and for that I had to make sure I was in tune with the people I was shooting. The aesthetic was to capture immediacy, spontaneity, expression, emotion and a little soul. After spending weeks with the house band, I began to understand their habits, their gestures and therefore preempted them to capture some great spontaneous footage. I always had my camera handy, and managed to capture about 120 hours of footage, out of which audiences have seen less than an hour! There are a lot of precious, crazy moments and espoused philosophies in those hard drives! Hopefully, we will do something with all that footage one day soon! Moreover,with a background in still photography I wanted to imbue every frame with something pleasing to look at. I believe in the power of the image to tell a story on its own, and I wanted every image that came onto the screen to be open to multiple interpretations. But more than that, it was of utmost importance to make sure that each BTS segment told the story of each song. It took months to put these songs together and it was my job to show the depth of work that went into each song, from its conception,to its philosophy, deconstruction, reconstruction, and the evolution in rehearsals. The BTS segments give context to the songs and an insight into the characters that made up Coke Studio. Q: The fifth and final episode of Coke Studio’s Season Two aired on August 14, Pakistan’s Independence Day, and was aptly titled, “Unity.” How do you think the show embodied the spirit of unity, and what message did that send to citizens on Pakistan Day? My favorite aspect of this show is its engagement in helping define a Pakistani identity. We are clearly at a crossroads in terms of a collective cultural ethos, and I believe that this show is an example of how we should engage with our past, present and future. The music takes from both current Western influences and indigenous classical and folk influences to create a truly ‘contemporary’ and ‘universal’ sound. The music is an honest representation of where we are today, it’s both timely and timeless; both purely Pakistani and palatably global. Each of the five episodes of coke studio represent the journey of the show: from the ‘Individuality’ of the artists coming together, to the cohabiting and synchronization which was ‘Harmony’, to the ‘Equality’ of all artists collaborating from all sorts of musical backgrounds, to tapping into the ‘Spirit’ of our times and its music and to finally reveal the ‘Unity’ in a true sense of great musicians coming together, collaborating and creating something that is greater than the sum of their parts. Coke Studio is all about ‘Unity – the collaboration of big-hearted, open-minded Pakistanis to create something unique, beautiful and truly our own. The effort shows that it is possible to work together and create amazing things with pure intentions and dedicated hard work. At a micro level, Coke Studio is also a metaphor for nation building. It has captured the imagination of the whole nation and collectively brought us together from all corners to appreciate and celebrate the diversity of our country. I am extremely proud at having been a part of something so amazing! I walk away from this season of coke studio as a richer, more evolved, and spiritually ignited human being than when I entered it and this is solely because of the dynamic created by Rohail, Umber, the production team and the supremely talented musicians. Q: The show is immensely popular in Pakistan. Will there be a third season? What do you think the biggest differences were between the first and second seasons? I hope there is a third season!! Why wouldn’t there be one? I loved both the first and second seasons respectively. The first season was a bold experiment in a new direction for music. It wasn’t as high tech or ideologically evolved as the second season, but its rawness and passion really shines out. The second season has a much more evolved visual ethos, and musically has a greater slant towards folk music than the first episode, which had a greater focus on classical fusion music. Well, that’s the politically correct answer anyway! The un-p.c answer would be that I preferred the second season a whole lot more because I worked on it!! Again, the details are confusing. Why would a top militant commander, one who was on Pakistan’s most wanted list, come to the nation’s capital to be treated for his injuries? Like a lamb coming into the lion’s den, it reads as more than a little counterintuitive. At least in Maulvi Umar’s case, authorities won’t have to deal with those pesky DNA issues to prove his arrest. According to BBC News, “Correspondents say that his arrest may provide key information about the Taliban’s recent operations and especially the mystery surrounding the status of Baitullah Mehsud.” Do you think his arrest will mark a major blow to the Taliban, or a more symbolic victory for the Pakistani military? Finally, should news agencies report stories until they’ve been fully confirmed? UPDATE 1744 PST: A Pakistani intelligence official interrogating Maulvi Umar Tuesday said the spokesman acknowledged Baitullah Mehsud’s death. CHUP will provide more details as reports come in. Yesterday, I visited an IDP resource center run by a local non-government organization in Rawalpindi. There, I met several Swati women and children who were still living with host families. In Pakistan, many of the people displaced from the offensive have already returned home, but some remain, wary of the tenuous security situation up north. Waqar, a man displaced from his home in Buner and who acted as a translator for me [since I don’t speak Pashto], explained to me that many of these women have stayed behind, despite living in poor conditions and having little or no money, because they constantly fear for their safety while at home. At least here, he told me, they don’t have to worry about a militant [or even a soldier], banging on their door late at night. As a Pakistani woman from a progressive, moderate family, my life is relatively worry-free [mash’Allah]. And yet, 45 minutes away in a small skill-building center in Pirwadhai, women my age and older live such drastically different lives. One mother told me her daughter couldn’t attend school for nearly two years because of the Taliban. Another said they didn’t have enough money to pay their electricity bill, let alone come up with rent for her and her ten family members living in cramped quarters. It is easy to forget that we are all Pakistan. A politician from an affluent family, a child selling flowers on the street, a prominent fashion designer, a soldier fighting in an ongoing military offensive, a young woman displaced in her own country. Our lives exist as different planets, orbiting around one another without ever touching. We are too often caught up in our differences rather than in what makes us all the same. The creation of the new State has placed a tremendous responsibility on the citizens of Pakistan. It gives them an opportunity to demonstrate to the world how can a nation, containing many elements, live in peace and amity and work for the betterment of all its citizens, irrespective of caste or creed. Our object should be peace within and peace without. August 14th, Pakistan’s Independence Day, should be a time to reflect on such a statement – to consider our mistakes and what still unites us as a nation. In the 62 years since Pakistan’s birth, we have been torn apart by violence, civil strife, political turmoil and intolerance. And yet, in the face of such adversity, we continue to be resilient. Sitting across from those women yesterday, their courage brought tears to my eyes. Their story taught me how important it is to reach outside one’s comfort zone to help fellow citizens in need, regardless of their caste or creed. At the end of the day, we must remember that we are all Pakistan. Hum ek hain, [“We are one.”].